Kali is the follow on from BackTrack for penetration testing. 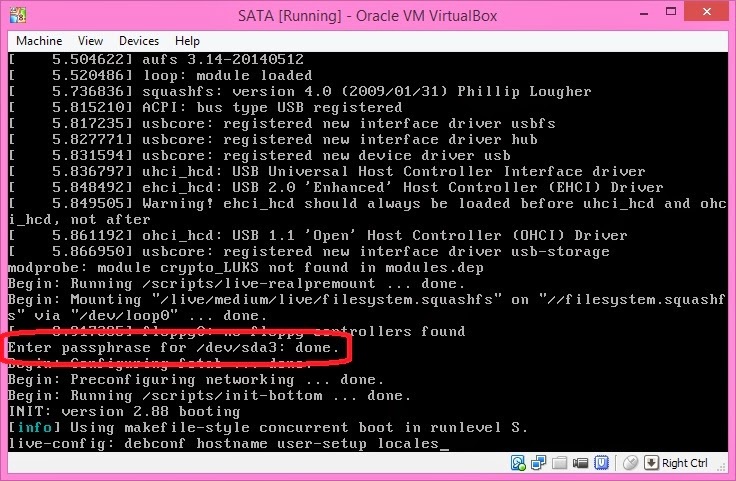 It provides a full linux development environment as well as pen-test tools. 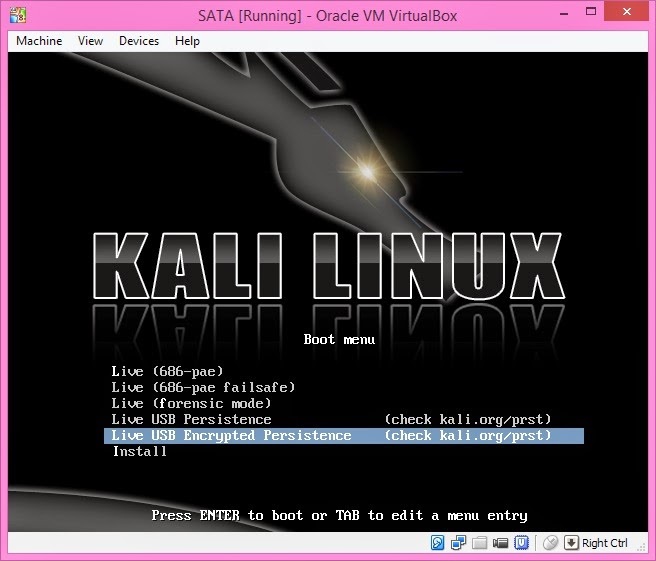 You can add Kali v 1.0.7 ISOs to your E2B USB drive and boot them with a LUKS encrypted persistence volume. 1. Download the Kali v1.0.7 ISO (32-bit or 64-bit or both) and copy to the E2B \_ISO\LINUX\MNU folder (or any menu folder). 2. Use RMPrepUSB to create an ext3 or ext4 persistent filesystem. Size = it's up to you! It should be large enough for your files. These instructions are based on the site's instructions here. fdisk -l (-l = list, use lowercase L not the number one - you should determine which device is the E2B drive, the mount and blkid commands may also be useful - sdx4 on the E2B drive should have a label of "Kali Live" and type of "iso9660" - I will assume it is sdb for the commands below). echo "/ union" > /mnt/my_usb/persistence.conf (note the space after /) or try sudo bash -c "echo '/ union' > /mnt/usb/persistence.conf"
Now Restart Kali and choose the Live USB Encrypted Persistence menu option. You should now see the persistent volume on the Desktop (mine was labelled as 'Unrecognized' - see top screenshot). If you don't choose the Live USB Encrypted Persistence menu option, you won't get persistence. As you may have guessed from the pictures, this worked under VBox too!